Created in June 2017 by french independent journalist Emmanuelle Courreges, LAGO54 celebrates Africa fashion avant-garde and proposes and upholds a cutting edge of designers – in fashion, lifestyle and design, among the best of the continent. Journalist for 20 years for the women’s and fashion’s press (ELLE, Marie-Claire, Vogue, l’Express Styles…) and magazine (Paris-Match, Le Point Afrique, Afrique Magazine…), Emmanuelle Courreges spent her first 20 years in West Africa. As a journalist, she never stopped writing about African creation, bringing to light the talents spotted in the continent’s fashion weeks. 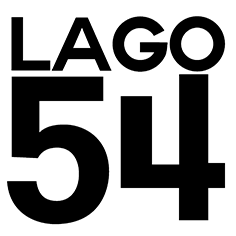 LAGO54 is a committed and independent label: it is the only one fashion market place in France, fully dedicated to african brands, to buy the products and to not practice consignment. MORE: the only one platform, as both buyer + agent, to know how the brands work, behind the style, and to be able to reassure the clients by its own experience. + stand B78, from the 07th until the 10th of September 2018.